This spacious 1849 square foot 3 bedrooms and 2 bath all on 1 level, home sweet home is located in a charming cul-de-sac with no neighbors behind. living spaces include a formal living/dining area, large eat-in kitchen, stainless appliances. Adjoining the kitchen is the family room which accesses the covered patio and private back yard. The Master Suite includes a large walk-in closet, tall cabinetry and grand arched doorway! Not to mention the separate soaking tub and walk-in shower. The two additional bedrooms feature phone jacks should you choose to use one for an office. The inside laundry near the garage entry makes it convenient, when unloading groceries from your 2-car finished attached garage. 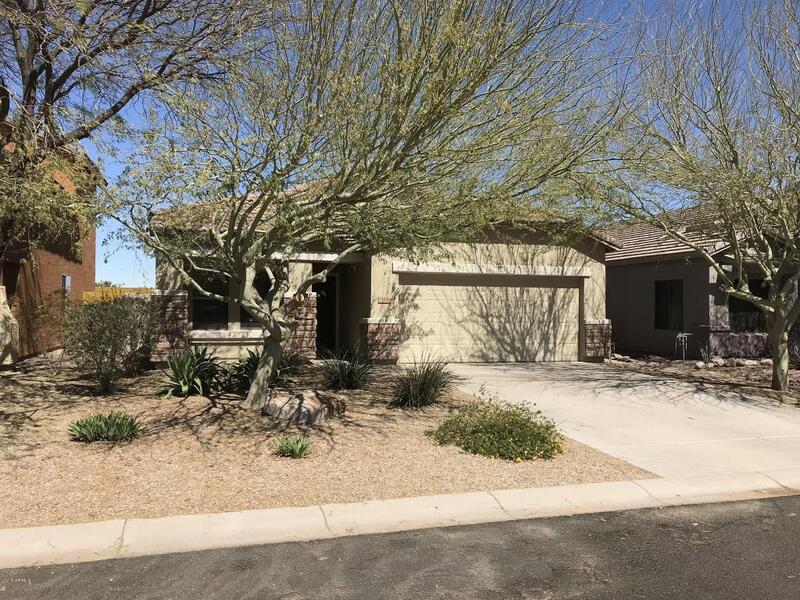 Call today to make your appointment for a private showing of this beauty in the Desert!